Can cats really love dogs? It certainly seems so. Probably as long as they haven’t had any previous bad experience, it should be easier. 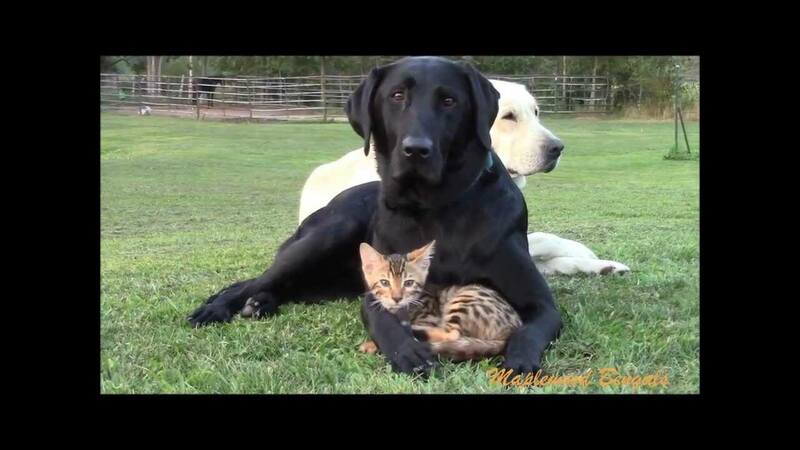 Here, a Bengal kitten and a Labrador seem to be made for each other. And here is a dog and a cat who both started out life as starving strays. What is it with Bengals and Labs? This Snow Bengal loves his friend, a golden lab from Maplewood Kennels in New York. Bengals make a lot of noise!